RSJ: What is the music scene like in Kuwait? Do you gig often? Tell me a little about the live history of the band. The Overseas Project: The music scene in Kuwait has been restricted from the past decade as far as live events are concerned as getting government permission is an issue. It gets even more difficult when it comes to Asian music. However, well known artists from the sub-continent are often invited to perform. This is not to say that Kuwait does not have artists. Kuwait is thriving, understandably, with artists more into Arabic music, in addition to a few of them using English lyrics. But, currently there are no well known artists in Kuwait, to our knowledge, who are doing Asian music or using Hindi/Urdu lyrics. We have been quite busy in music production, performing live has not been a concern ever since we started as a band. Our focus has been to produce good quality music. As individual musicians, we have all had our share of live performances. Amitabh was performing at various platforms like Hard Rock Café, Mumbai with his former band in India. 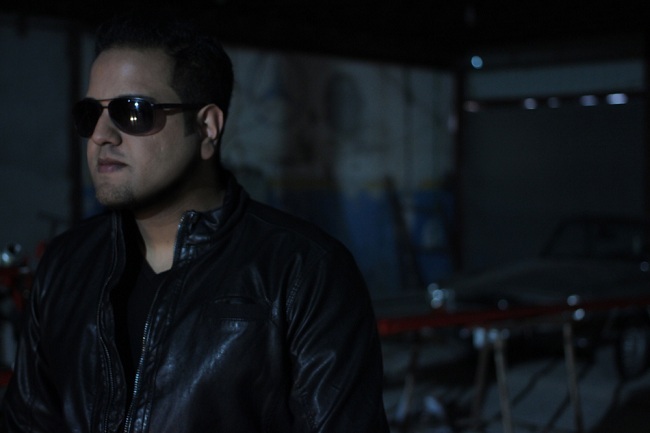 Hasib has done several underground metal gigs and DJ’ed at numerous events. 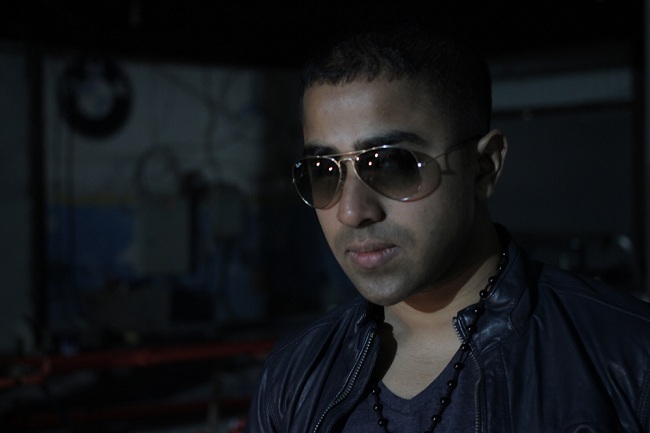 Majid has performed in many live venues with his former band and opened up shows for artists like Arif Lohar, Shehzad Roy, and various talent shows. RSJ: How did you guys meet? Can you tell me a little about the beginnings of The Overseas Project? Who initiated the band and how did it all come together? Majid: I met Hasib through a friend of mine regarding a recording deal while I was leading another underground Urdu band, but it wasn’t working out so well due to many disagreements among the members. During those days we used to jam whenever we had some extra time until Hasib suggested that we work together on an experimental project, I had no clue where this was leading but the idea seemed very interesting. Hasib: We liked the music that we were playing since it had a blend of different styles and was not restricting us to a particular genre since I come from an electronica background while Majid has rock/metal influences, and we got comfortable with whatever we were doing. We composed a few tracks and came to a point where we were in need of a singer. Majid: We found Amitabh through a local music blog where he put up an ad that he was looking for musicians to form a band with, since he had just moved to Kuwait. Hasib got in touch with him and invited him to his studio for an audition. We were instantly impressed after a few jam sessions and we knew he was perfect for the kind of music we had in mind. We didn’t tell him right away though, and wanted to jam a few times more just to be sure. Amit: I got very comfortable and friendly with both Hasib and Majid. I was new in Kuwait, and didn’t know many people back then. We had a good time during the audition and jamming and few days later I showed them some of my own songs I had written. We picked ‘TereDesh Mein’ and started working on the music ideas and modifying my composition according to their style. Hasib: We finalized ‘Tere Desh Mein’ and then Majid had to travel to San Francisco to complete his masters. And Amit was traveling back and forth between India and Kuwait. We stayed musically in touch through Dropbox. Majid would record his guitars at his home studio and send it across to me, while I would be working on the keyboard and drum parts. This is actually how we came up with the band name since we were all in three different parts of the world, and we came from three different countries, so this is how “The Overseas Project” came into being. We even joked once that we should rather call ourselves The Dropbox Project. Once Majid got back, we started working on ‘Umeed’ and here we are with two successful releases and a third one to arrive this June. RSJ: How would you define your sound? There is a mix of pop, rock, blues, Hindi rock, even blues and electronica. What is the vision and the aim behind the music? How has the response to the music been? TOP: We don’t really restrict our style when it comes to sound. Every song is subjective to the lyrics, the mood and the feel. We go with what comes out naturally. It’s the difference in each of our musical background that brings together a mix of styles that you can hear in our songs. Our aim is to make good and soulful music, along with meaningful lyrics. The Overseas Project has received a remarkable response on social media, with just two releases. Our Facebook page has already received over 10,000 likes and counting. RSJ: What are your influences? What kind of music/art informs your sound? Hasib: I grew up listening to all sorts of music but mostly electronic and industrial, starting from The Cure, Tori Amos, A-Ha, to Ministry, Skinny Puppy, Tool and NIN. 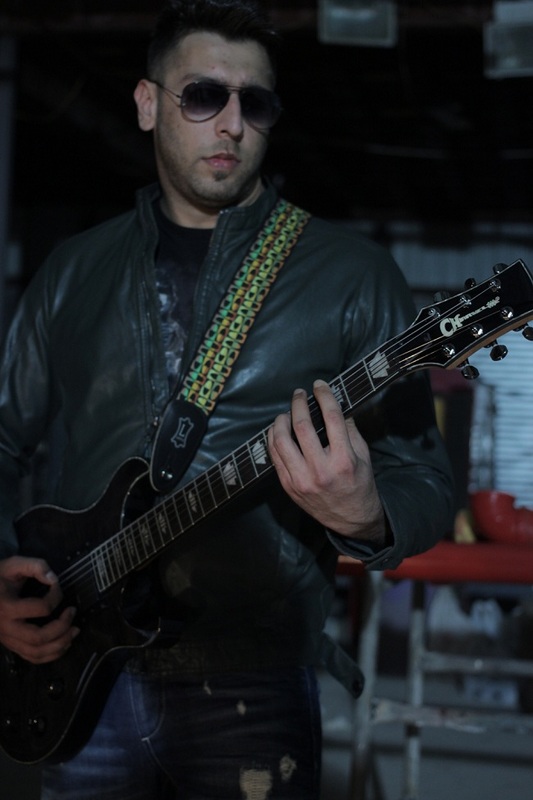 Majid: I started playing guitar listening to Iron Maiden, Bon Jovi, Metallica, Joe Satriani, Bryan Adams, James Blunt, and many other pop/rock bands, which shaped me up as a guitarist. Amit: Some of favorite artists are Scorpions, Gun n Roses, U2, Ali Azmat (Junoon), Noori and James. Also, I am influenced by Indian ragas and I am often inclined to use it in my compositions. RSJ: What is the core philosophy of The Overseas Project? TOP: Each member of the band comes from a different background, and the other side of the barbed wire. The philosophy is to bring in the best of elements of where ever we come from, to merge into a new “musical experience”. RSJ: How much do you guys fight? Do you often manage to reach a consensus on the direction of the music? TOP: We don’t really fight, but we do get into a lot of disagreements from time to time, and it’s always music related. Sometimes one of us doesn’t like the guitar rhythm or the other person has a problem with the drum pattern, but in the end it’s all good and we are constantly improvising ourselves. RSJ: Talk me through the songwriting process. Is it collaborative/jam-based/singer-songwriter based? Is it an entirely organic process or do you put a lot of thought into the direction that you guys have taken? Hasib: Amitabh and Majid mainly write all the song lyrics and then Majid starts with the chord arrangements, while I work on the drums and the synths. Once the basic composition is in place, we start jamming over the songs and work on the singing style. We usually record different versions of the song, do all sorts of fine tuning and listen to it repeatedly for several days till we get to the point where everything sounds perfect. The basic elements in the songs come together pretty naturally. RSJ: Is all the recording/production executed by Hasib? Majid mostly records his own guitar ideas at his home studio. The final tracks, including the guitars, vocal and synths, are recorded, mixed and mastered by Hasib at his Coma Studios. RSJ: Considering you’re from Bangladesh, India, and Pakistan, do you have arguments over patriotism and your respective countries? Is there any friendly banter about it? Amit: We share a love hate relation with each other’s countries and friendly banters generally light up the mood of our otherwise serious studio recording sessions. RSJ: Is politics something that you would write about and talk about in your music? TOP: We are not here to write about politics per se. But, if our songs about social issues inadvertently involve politics, we wouldn’t shy away from it. For example, our first release ‘Tere Desh Mein’ is on peace with an inclination towards calling for communal harmony. RSJ: Tell me about the process of shooting and recording the video for ‘Ummeed’. Hasib: The music video for ‘Tere Desh Mein’ was shot in my studio just for fun as an experiment. Surprisingly, it gained instant popularity and we realized that releasing the music without a video just wasn’t cutting it. So it pushed us to go ahead and do a serious video for ‘Umeed’. At first we decided to take professional help for shooting the video but we ended up doing it ourselves because we couldn’t find anyone here who could execute our idea. Majid: It was a very different experience for us since we had never done this before. We planned the storyline to portray the lyrics, decided where and how we wanted to shoot the scenes and just went ahead with it. Most of the days we just took off unplanned and shot the scenes at random locations, the whole video process went very spontaneously. RSJ: Are you guys working on an album or an EP? If so, when do you think it’ll be out? What kind of direction is the music taking? TOP: Currently we are working on releasing singles only. But we are considering an album release this year. We don’t really have a set direction when it comes to our music. Our songs are about anything and everything, focusing on our everyday lives. Our aim is to have songs with acceptability to a wide range of audience, and be a perfect mix of different musical elements. RSJ: Are you guys looking at playing shows in India? TOP: We would love to play shows in India whenever we get an opportunity. TOP: We are currently involved in the process of finalizing the music and recording of our next single ‘Talaash’ along with the music video. Later this year, we plan to release our debut album. We are not sure of the release date, but it will be sometime by the end of this year.